What Kind of Capitalism Should India Have? In the face of growing inequality, we need not just compassionate and creative capitalism, but also one which recognises the ethical core of reciprocity. Though the term ‘compassionate capitalism’ has been a part of public discourse outside India for some years now, the current spotlight on it in India is largely due to N.R. 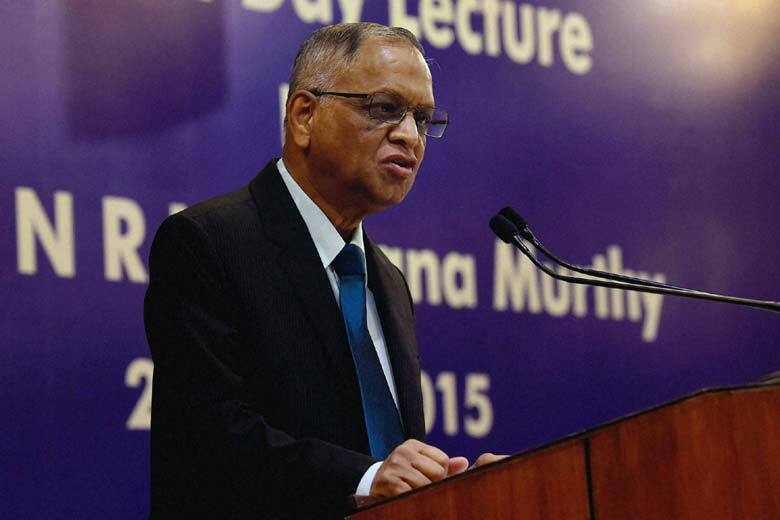 Narayana Murthy, the co-founder of Infosys. His most recent reference to it was occasioned by the hike in former CEO Vishal Sikka’s salary, which made it 935 times the median pay at Infosys last fiscal; the extraordinary severance compensation paid to Rajiv Bansal, former Infosys CFO, on his exit from the company and a pay hike of 35% (Rs 12.5 crore) to COO Pravin Rao. Though legal and in line with international practice, Murthy and other co-founders of Infosys felt that it was out of sync with the culture and values espoused by the company till recent years, especially in the face of possible layoffs of younger employees. Describing his philosophy of compassionate capitalism, Murthy said it was capitalism in mind and socialism at heart, a creed which looks at fairness and at ensuring that everyone is better off. According to him, if we have to make capitalism acceptable to a majority of Indians who are poor and to create jobs, “every senior management person of an Indian corporation has to show self-restraint in his or her compensation and perquisites. He or she has to fight for maintaining a reasonable ratio between the lowest salary and the highest salary in a corporation in a poor country like India. The board has to create a climate of opinion for such a fairness by their actions.” Senior leaders should, he felt, consider taking cuts instead of laying off youngsters and encourage these employees to reskill so that companies can take advantage of new emerging opportunities. It is a fact that in India, the divide between boardrooms and shop floors is excessively wide. Under the new Companies Act, firms are required to disclose the ratio of directors’ pay to the median employee salary, and therefore data is now available about the disparities. In FY16, at least 27 directors earned at least 100 times more than an average employee, whereas under a saner capitalism the ratio between highest compensation in the firm and the median salary should ideally be 50-60. Compassionate capitalism as a term became a part of public discourse globally largely after the economic crisis of 2008 and Thomas Piketty’s seminal publication, Capital in the Twenty-First Century, which highlighted the growing disparity between the haves and the have nots of this world, and movements like Occupy Wall Street. Picketty confirmed that though capitalism is central to the innovation and entrepreneurial risk-taking needed for economic growth, inequality does not naturally or automatically decline under capitalism and that, in fact, capitalist growth leads to greater inequality because of the higher rate of return on capital compared with the low overall growth rate of the economy, or to put it another way, income from investments rises faster than wages. Several economists like William Easterly, professor of economics at New York University and senior fellow at the Brookings Institution, have argued in favour of traditional capitalism because it helps the poor; others believe that insisting on greater equality will distract businesses from their primary goal of making profits. But the fact is, as an Oxfam report titled ‘An economy for the 99%‘ has pointed out, corporations are increasingly driven by a single goal – to maximise returns to their shareholders. This means not only maximising short-term profits, but also paying out an ever-greater share of these profits to the people who own them. In the UK, 10% of profits were returned to shareholders in 1970; this figure is now 70%. In India, the figure is lower but is growing rapidly, and for many corporations it is now higher than 50%. Since a majority of shareholders are among the richest in society, the benefit goes largely to the rich, increasing inequality. According to recent research by Forbes and the International Monetary Fund, the wealth of 101 Indian billionaires equals 13% of country’s GDP. Every dollar of profit given to the shareholders of corporations is a dollar that could have been spent paying producers or workers more, paying more tax, or investing in infrastructure or innovation. Infosys under Murthy made a beginning towards more equal returns by initiating a system of ESOPs which some others have taken up, but it applies to only a small portion of total business. Moreover, perceptions and aspirations of the have-nots have changed. Earlier, people may have been content to get two square meals a day, but today they demand a share of the wealth they are helping to create for the companies they work in. The wide disparities in income and opportunities are a danger to the stability of the social fabric, and the unholy nexus between government and big business is further threatening the trust modern societies’ need for growth and stability. Therefore, a laissez faire capitalism which embodies an ‘I am alright Jack, and the devil take the hindmost’ attitude will no longer do. Reform of capitalism is urgently needed. 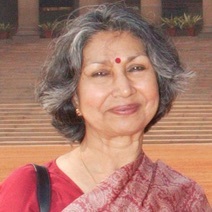 Apart from communism, reform advocacy has ranged from welfare capitalism to Gandhi’s theories of decentralised production by small individual owner producers, along with trusteeship of the wealthy; corporate and individual philanthropy; mandatory corporate social responsibility (CSR) contributions from companies, to variations of compassionate capitalism such as ‘inclusive capitalism’, the ‘humane capitalism’ of Muhammad Yunus and the ‘creative capitalism’ of Bill Gates. Gates’s creative capitalism would be one “where governments, businesses and non-profits work together to stretch the reach of market forces so that more people can make a profit or gain recognition doing work that eases the world’s inequities”. Some approaches he suggested to achieving this were: matching business expertise with need in the developing world; governments setting policy and disbursing funds so as to promote business activity that improves the lives of the poor; helping business in the poor world access markets in the rich world and companies donating a percentage of their sales. The gains and incentives for businesses would be not only profits but also to be recognised for having done good. What Gates is advocating is philanthropy in its best and widest sense. However, Gates and his mentor Warren Buffett, the world’s two leading philanthropists, do not necessarily include challenging systems and mindsets to bring about change and that is equally necessary. To bring about meaningful change which includes social justice, what is needed is both a congruence of ethics, which is embodied in the concept of CSR in its truest sense (not how it is practiced), and sustainable and equitable change which can be brought about by philanthropy devoted to innovation (not charity or giving out of pity). Corporate social responsibility must extend towards all stakeholders, including the environment, and this requires constant experimentation to increase the total pie sustainably. Compassionate capitalism must also emphasise conscious reciprocity, a concept which implies that the giver gets as much as the receiver. The giver must recognise the role of all those who enabled his or her economic rise, and feel grateful for having the opportunity to give, while the receiver should be grateful not only for the contribution but for having an opportunity to enable someone to contribute. Is this too utopian a dream? Too much to ask for? Pushpa Sundar is the author of Giving With A Thousand Hands: The Changing Face of Indian Philanthropy (OUP) and Business and Community: The Story of Corporate Social Responsibility in India (Sage).